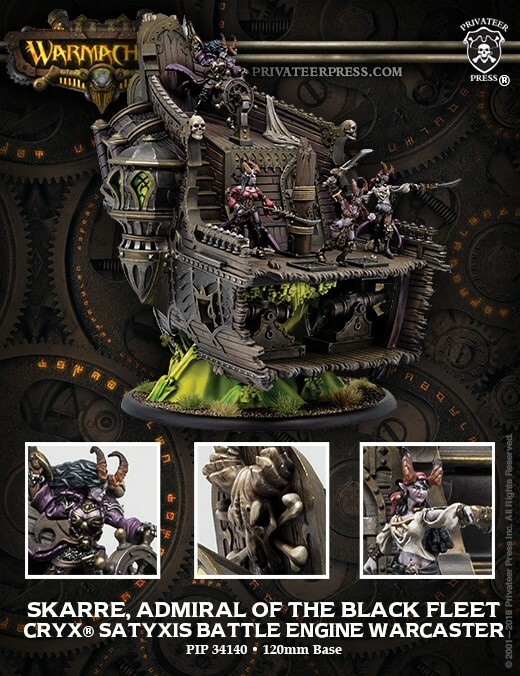 Well, with the Hooch Hauler on its way to people, it's time for Privateer Press to start taking pre-orders for their next Black Anchor release. This time, it's taking the "Tactical Rock" to a whole new level. 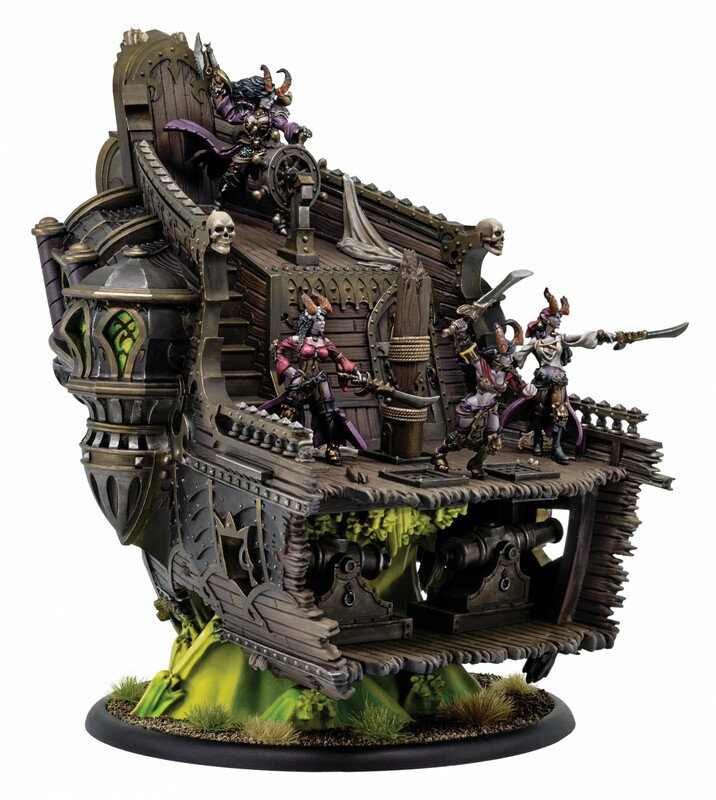 You get Skarre, Admiral of the Black Fleet and her Tactical Half-A-Pirate-Ship. Who needs water for your part-ship when you can just sail the seas of cheese... I mean, souls? Pre-orders will come with a free Black Anchor Industries bandanna. Preorder Skarre, Admiral of the Black Fleet, by March 7, 2018, and receive a FREE Black Anchor Heavy Industries Bandana. Preorders ship at the end of March 2018. Quantity limited to the first 1,000 preorders. Skarre, Admiral of the Black Fleet, will be available as a normal item in the online store after April 1st.